Backup is essential for any business, and with the added threat of ransomware, backup solutions can help avoid costly business interruptions. A true disaster plan requires both on-site and off-site versioned copies of your data. 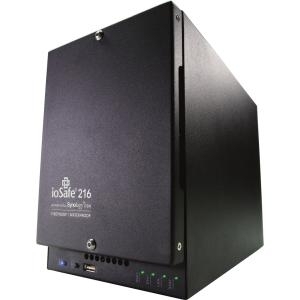 For on-site high-speed data backup we recommend ioSafe . This solution is fireproof, waterproof and rugged. About the size of a 4 slice toaster, this unit can be bolted to the floor in your server area for added security. With an ioSafe on-site, you can choose to use the off-site service of your choice or select the managed backup provided through ASG’s Proactive Support services.